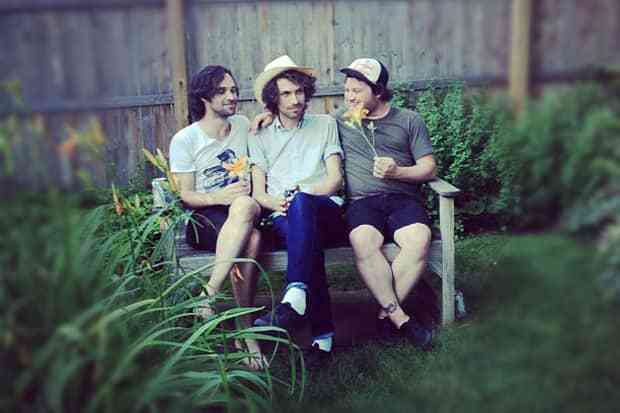 Sleepies, a three-piece that's been trolling around Brooklyn playing shows for a while now, finally have the production chops (courtesy of The Men’s Ben Greenberg) to maximize just how big and beautifully bratty they sound. This song, off a forthcoming LP Weird Wild World (out in August on Godmode), alternates between a slow drawling pisser and a fast, skittish one, teetering back and forth like a tripod that's lost its third leg. Thomas Seely's voice is super snot nosed and sounds great when he curses and moans sarcastically—a vocal eye-roll if we've ever heard one. Stream: Sleepies, "Seriously (Evil Radio Edit)"